Dental treatment is an excellent investment in your medical and psychological well-being. 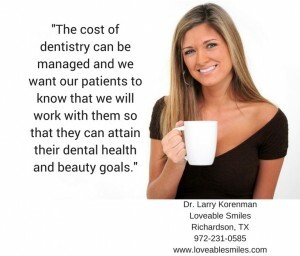 The cost of dentistry can be managed and we want our patients to know that we will work with them so that they can attain their dental health and beauty goals. In this blog article, we want you to understand how dental insurance works at our dental office in Richardson, TX. 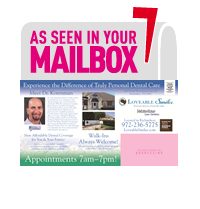 First of all, here at Loveable Smiles it is our daily commitment to treat people, not just their teeth. We will only do procedures and treatments that we would do for our own families. Dr. Korenman maintains a high standard of care for our patients and we are unwilling to compromise or cut corners just because of insurance company limitations. In the current environment of managed health care, insurance companies are adding more and more restrictions on what they will allow for their “providers”, or as we say Doctors to treat their patients. We will not use cheap materials, overseas labs, or outdated technology. Korenman will not do amalgams (metal fillings containing Mercury) as they leak, crack teeth and are not our standard of health. We believe the highest standard of care for tooth replacement is with dental implants and will not sacrifice your healthcare by using bridges if at all possible. Insurance will not cover implants. We use fluoride treatments to prevent tooth decay and unfortunately, insurance will not cover fluoride. To be clear, we accept a wide variety of insurance and we are certainly not dismissing your discounts as we want to take care of you as a patient. We pledge to help you obtain all the benefits you deserve under your particular plan. On a side note, if your particular insurance company does not allow you to choose your own dentist we encourage you to select a different plan at renewal time and to inform your co-workers to do the same. We can always treat you in or out of network and help you obtain the maximum from you benefits. There are some plans out there that don’t have very many providers listed with them. This can seem frustrating to the consumer, but believe us, it’s also frustrating for the dentist. Additionally, some insurance companies will pay whatever they decide to pay, and the patient has to make up the difference. So, rather than lower our standards, which we ethically cannot do, we have chosen to eliminate our preferred status with some types of insurance companies. We never allow insurance companies to limit your level of health or keep you from knowing all your options. Here at Loveable Smiles, we take the time to educate our patients about the value of optimal oral health, and how not going forward with treatment may cost them more money down the road. We make sure our patients understand the importance of the treatment before they leave the office. We talk with our patients about their goals and show them how the treatment we are recommending aligns with those goals. As mentioned earlier, the cost of dentistry can be managed and we want our patients to know that we will work with them so that they can attain their dental health and beauty goals. 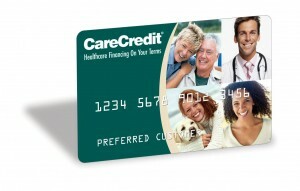 Interest-free financing through Wells Fargo and Care Credit. With integrity, compassion and resourcefulness, we treat people and not just teeth. We look forward to taking care of you and making it affordable! Care Credit Dallas, Dental Financing, Paying for dental services DFW, Uncategorized, Why Dr. Korenman?